Your small business customers know they are losing productivity when employees shop and social network on company time. Securolytics Web Filtering allows them to increase productivity with advanced, real-time content ltering and the ability to block access to the websites that drain time and money from their business. URL filtering is a basic and essential feature. Securolytics always inspects the complete URL. A ordable, less than 50% Total Cost of Ownership: Predictable yearly cost, nothing to deploy or manage, just set your policy and get the reports and enforce the policy you need. 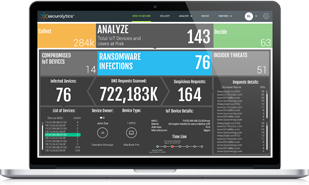 Securolytics cloud based solution is an easy-to-implement Web ltering service that bene ts organizations of all sizes and quickly safeguards your network. Cloud-based solutions are the best choice to protect any user on any device, anywhere. Securolytics provides Cloud-Based web ltering through multiple datacenters and o ers seamless protection across the globe. Securolytics Web Filtering helps your customers drive productivity by limiting access to social networking, searching, streaming media, and shopping. And, because less bandwidth is absorbed by personal use, that means more speed for business tasks.